Yesterday our Middlesbrough Reads campaign brought a literacy-themed bus to local community centres to celebrate five years of working to raise literacy levels in the town. 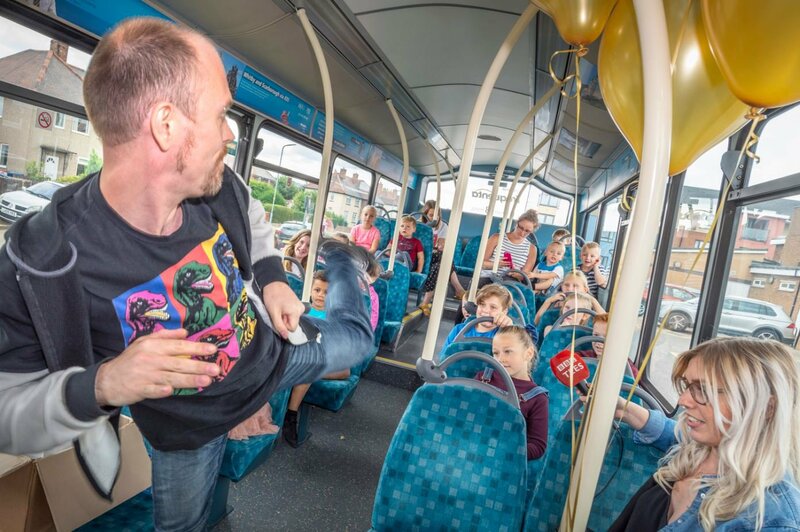 Supported by Arriva North East, the bus visited Easterside, Grove Hill, Thorntree, North Ormesby and Newport on Wednesday 8 August, where children aged 4 to 11 climbed on board. They enjoyed storytelling from award-winning performance poet Dom Berry and were gifted a brand new book, courtesy of Penguin Random House, and Middlesbrough Reads bookmark to take home. Handing out 3,000 reading packs each containing a copy of Guess How Much I Love You by Sam McBratney at James Cook University Hospital to help parents bond with their premature babies. 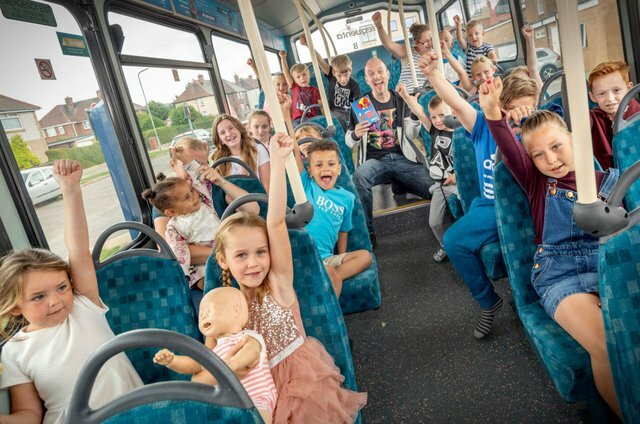 This project was highly commended by the Third Sector Charity Business Awards, shortlisted in the Charity Times Awards and has since been rolled out in Stoke-on-Trent and Bradford. 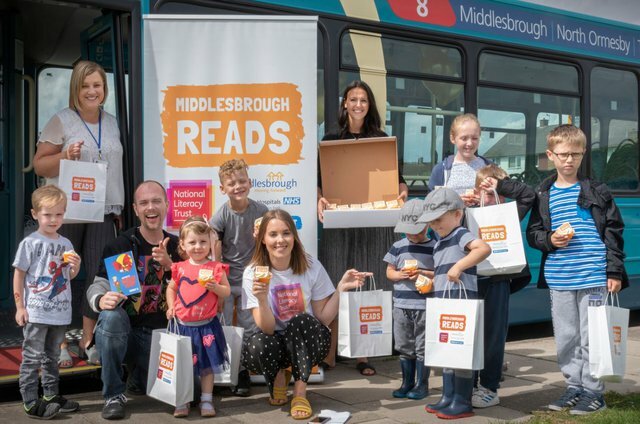 The Middlesbrough Reads literacy bus tour follows a 5th anniversary celebration event for partners in June, which was attended by Edward Kunonga, Director of Public Health Middlesbrough and Jonathan Douglas, Director of the National Literacy Trust. 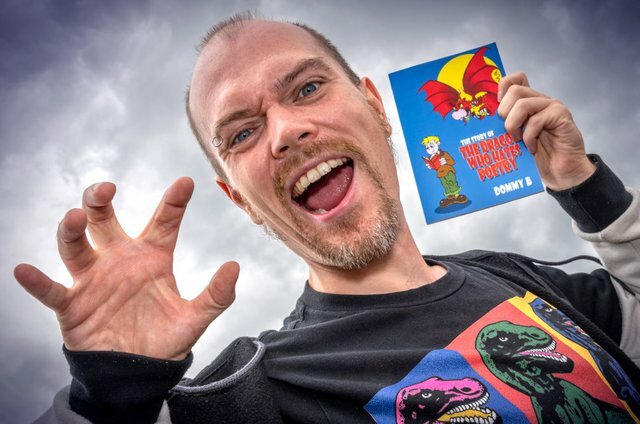 “Over the last five years, we’ve put nearly 60,000 books in the hands of the Middlesbrough children who need them the most and seen a real improvement in the number of pupils who enjoy reading. 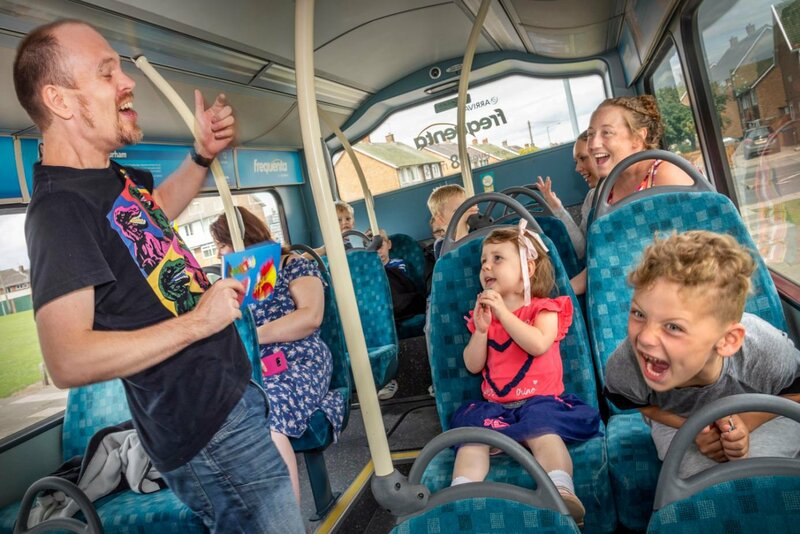 National Literacy Trust Hubs work with local partners at a community level to tackle low literacy levels and create long-lasting change. The National Literacy Trust Hub in Middlesbrough has inspired a further seven National Literacy Trust Hubs across the country in Bradford, Peterborough, Stoke-on-Trent, Swindon, Nottingham, the North Yorkshire Coast and Hastings. 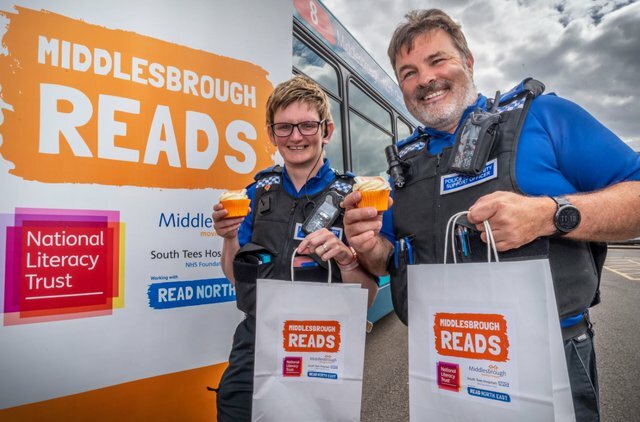 Initiatives developed as part of the Middlesbrough Hub have been rolled out in other areas nationally and internationally with great success.